To reach the Crea Café you must take some twists and turns, but don’t let that scare you off. 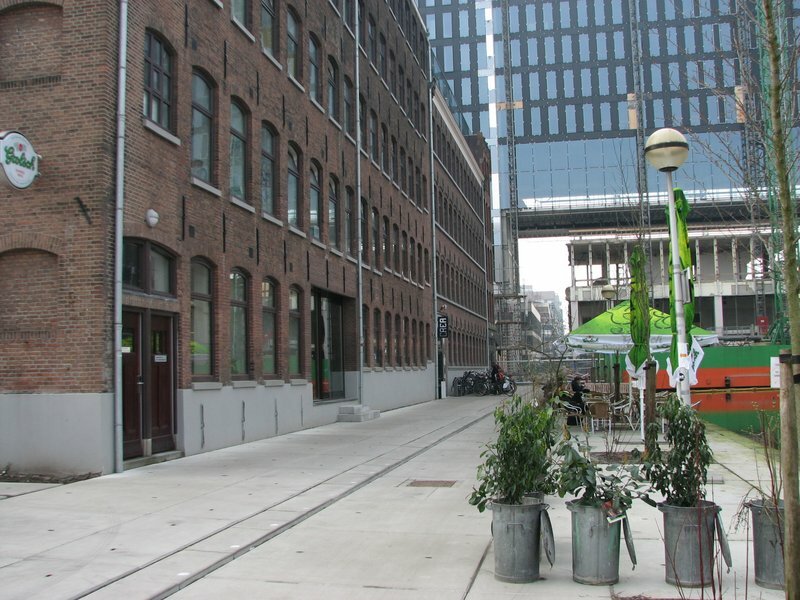 The café is associated with the University of Amsterdam and it’s located near one of the faculties. 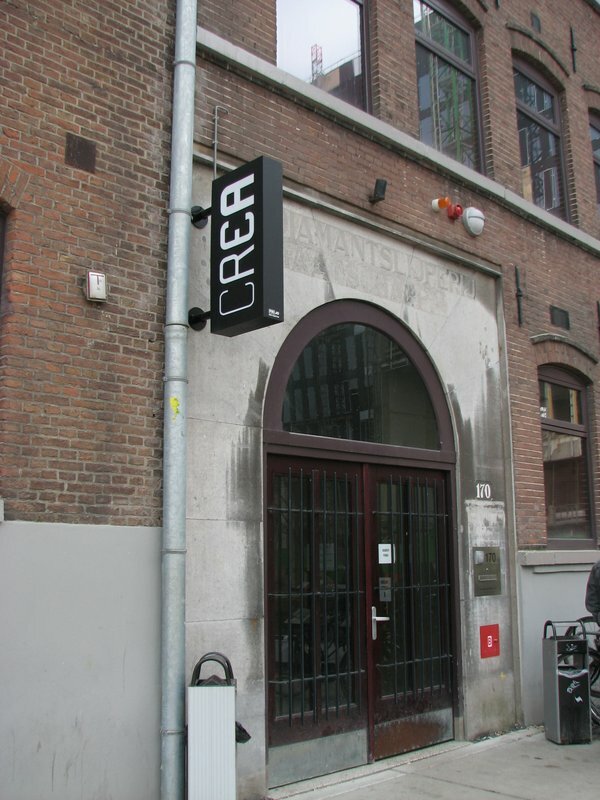 Crea café itself is not so big, but it’s situated in a huge building. Some tourist come to take pictures of the inside, because it looks impressive. It’s very high with concrete walls and big stairs made out of glass. Not only can you find the café inside, but there’s also room reserved for all kinds of workshops. These are organized mostly for students. As a tourist you won’t be able to do a course, because you have to sign up way in advance. Most courses take a couple of weeks. No surprise then that the café is popular among students, and the prices are also student friendly which is a big plus. They also serve breakfast, lunch, dinner and snacks. Even if you’re in the mood for something sweet you can order a slice of pie or a brownie. For lunch you can try the tomato soup, it is delicious! When the sun is shining and it’s warm outside, there’s the possibility to sit outside next to the water. The interior is modern yet cozy so you’ll feel at home. Students come here between classes as well; so if you’re looking for a more quiet place to spend the afternoon just bring a book or newspaper and sit in the reading corner on one of the comfortable couches. The staff consists of students who do their best to make you feel at ease. There’s a very relaxed atmosphere so you can sit here for hours. A lot of cafés in Amsterdam have boardgames lying around. Crea café is one of those! You can borrow a game of monopoly or chose another from the many they others and play a game while you enjoy your drink. Public Transport :7 & 10, stop korte 's gravesandestraat of 9 & 14, stop Alexanderplein.